With the second man on the moon as his idol, thirty-something Mattias rarely seeks out the attention of the limelight. Preferring to live in the shadows, the humble narrator reveres Buzz Aldrin for his contributions to the Apollo 11 mission while allowing Neil Armstrong to revel in the glory. Wanting to do good in the world without everyone knowing, Mattias lives a quiet life in Stavenger, Norway as a florist for a small, financially struggling nursery, until life changes knock him out of orbit. 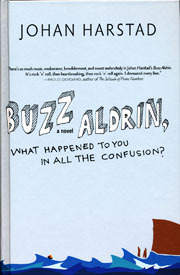 Johan Harstad’s first novel to be translated into English, Buzz Aldrin, What Happened to You In All the Confusion? 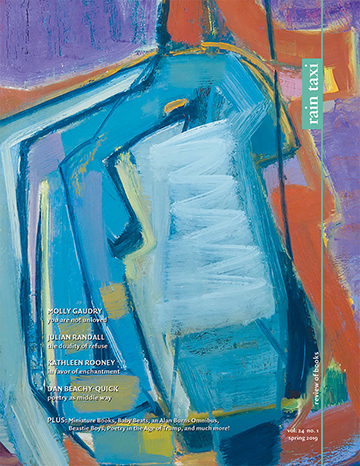 is an exquisitely crafted journey into one man’s psyche. Ignoring the disintegrating relationship with his girlfriend Helle, the looming bankruptcy of the nursery where he works, and his growing desire to slip away unnoticed, Mattias lives in denial, refusing to see that hiding from the world doesn’t save one from inevitable change. When Helle suddenly breaks off the relationship and the nursery closes, an opportunity to vacation in the Faroe Islands arises. Unfortunately, Mattias finds himself early in the trip on a deserted road with soaking wet clothes, a sore and bloody hand, a wallet full of cash, and no idea where he is or recollection of how he got there. A kindly man discovers the forlorn narrator lying on a bus bench and invites Mattias to stay at his halfway house, a place designed for people suffering from mental illnesses who aren’t capable of living independently but who don’t need to be institutionalized. Accepting the offer, Mattias finds a home on the Faroe Islands with a cast full of quirky characters: a girl who rides buses to get random men to fall in love with her; a psychologist who hoards the health records of patients; a scarred photographer who swears never to capture another Kodak moment. With Mattias as his springboard, Harstad writes about mental illness without invoking the normal slew of stigmas. Mattias’s straightforward narration about heartbreak, discontent, and unhappiness are emotional but Harstad’s writing is far from sentimental. Rather than hide his despondency from loved ones and readers, we see a fresh look at a troubled man trying to make sense of his life and his place in it. Although the novel is pretty much a one-man show, the secondary characters have backgrounds that are eccentric enough to give the dramatic tone of the novel a comedic edge. While rambling at times, Harstad’s novel ultimately provides a thought provoking and insightful look at an individual, one with reactions and feelings to which readers are likely to relate. Mattias unravels his thoughts and allows us to understand his journey so that we, too, can comprehend what happened in the midst of his confusion, and perhaps put words to some of our own.